Adele joked about future projects which could land her potential Emmy and Tony awards, seeing her join the list of ‘EGOT’ stars – those who have won an Emmy, Grammy, Oscar and Tony. 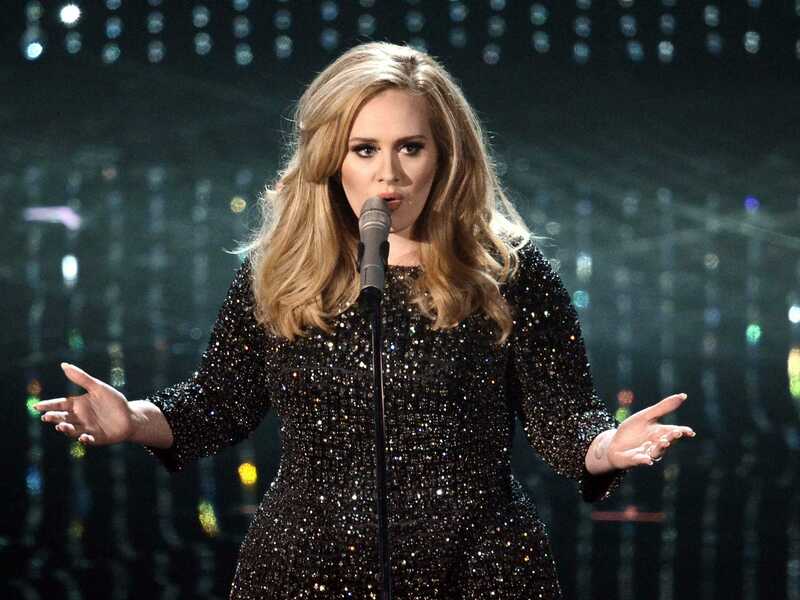 Adele has won the first Oscar for a Bond film in 47 years, when Thunderball won in the special visual effects category. She explained backstage that the rumours that Skyfall was recorded in 10 minutes were untrue: instead it took two studio sessions. She said recording the Bond theme was “one of the proudest moments of my life”. The song went on to become Adele’s first to appear in the Billboard Hot 100 in the Top 10 during its first week. In January it was revealed that 21 was the first since Michael Jackson’s Thriller to be the best-selling release in America for two years running.